Welcome to the blogspot of freelance journalist, publicist, entrepreneur and the Author who is currently known as Nikki "Nikki G" Nicole. This blog contains news and events surrounding her novel, A Little Bit of Sin, works in progress and other ramblings and commentary that you might find appealing and even amusing. Any questions!?! Hello all, In case you were unaware I have changed the address of my blog. The previous address of http://www.booksbynikkinicolegc.blogspot.com is no longer valid. The current address is http://www.sonikkinicole.blogspot.com. Thanks all!!! Hey, hey, heyyy...a Nescafe Giveaway!! Nescafé Dolce Gusto Piccolo Coffee Machine Giveaway Event! 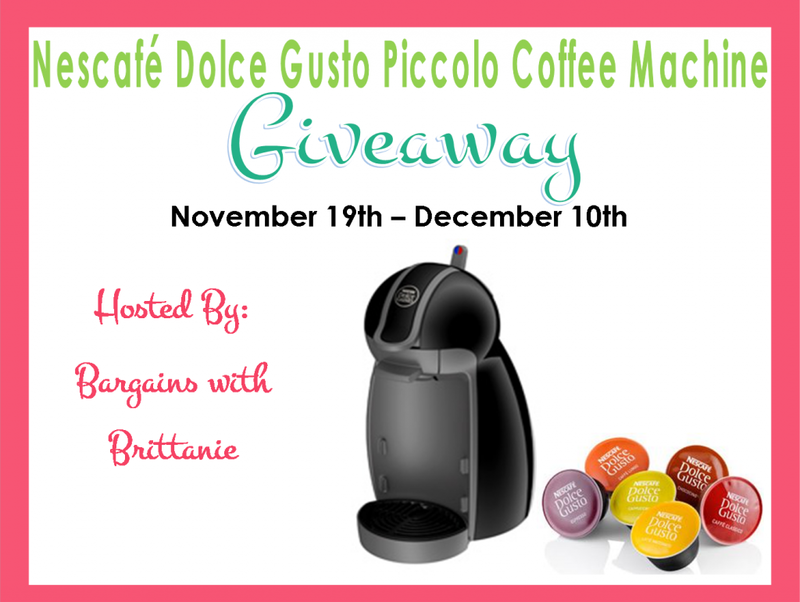 Bargains with Brittanie has partnered with several awesome bloggers to bring you this amazing event.How Would You Like to Own Your Very Own Nescafé Dolce Gusto Piccolo Coffee Machine? Well now you have a chance to Win One Just in Time for The Holidays! 1 Lucky Winner Will receive a Nescafé Dolce Gusto Piccolo Coffee Machine and a 6 count Sample Pack of Nescafé Dolce Gusto Coffee so you can start enjoying your machine the minute you get it home! A value of $99.99! The Nescafé Dolce Gusto Piccolo Coffee Machine was made with coffee lovers in mind. This machine creates single cups of coffee in a matter of minutes. It is space and energy efficient. Ideal for small spaces including; limited counter space, dorm rooms, cubicles, and just about anywhere you want to make a cup of coffee. Plus with 16 different flavors and the ability to adjust your coffees strength and mixture, you can ensure you will receive a cup of coffee as unique as you are every time! No mess, No fuss. Everything you need to make hot or cold drinks are contained in the easy-to-use capsules. The unique patented Custom Control Lever puts you in control. Allowing you to customize your coffee's strength and mixture (for multi-capsule drinks) AND it also alows you the option to alternate between hot and cold beverages in an jiffy. The exclusive Thermoblock technology heats the water within 1 minute! And it's fresh every time! NESCAFÉ® Dolce Gusto® uses only the highest quality ingredients - featuring only 100% Arabica, rich chocolate and foamy milk..yum! Giveaway is open to U.S. 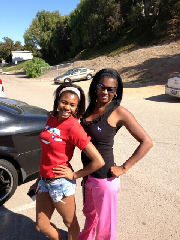 Residents, 18 years of age and older. Giveaway ends on December 10th at 11:59 PM. Winner will be chosen via random.org. All Entries Will Be Verified. Winner will be contacted via email. If winner does not claim their prize within 48 hours a new winner will be chosen. Please Enter using the Rafflecopter Form below. Good Luck! Subscribe To A Little Bit of Nikki G! Buy my book now at www.iuniverse.com!